Father Roman Roy Chavez Baroma, Jr. was born in the Philippines on November 28th, 1969. He was in the seminary for 14 years and that covered his formation in High School, Philosophy, Spirituality Year, Pastoral Year, and Theology. He was ordained a priest on April 3, 1997 for the Military Ordinariate of the Philippines. 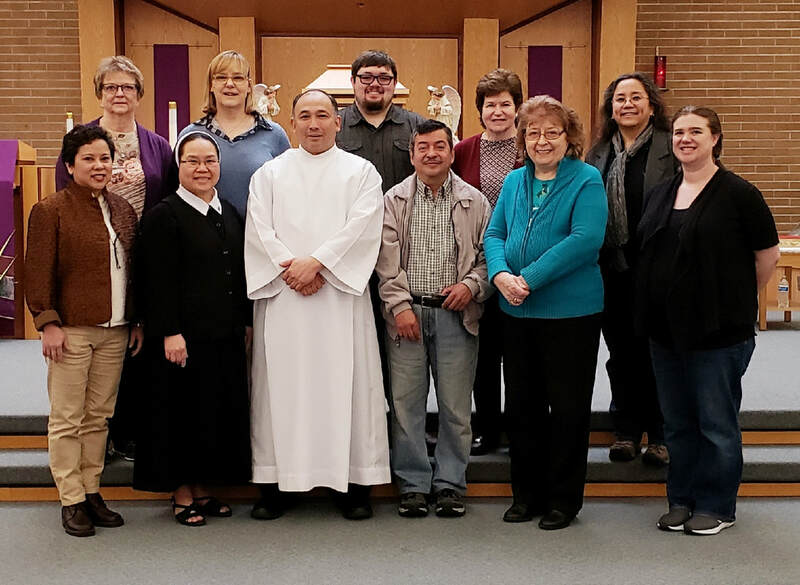 After pastorally serving 10 years in the Philippines Father Roy moved to the Archdiocese of Seattle in 2007 to continue his priestly ministry, and has led many parishes in the diocese before being incardinated in 2016 - this means that he now belongs to the Archdiocese of Seattle. Father Roy says "I am always grateful to God for my priestly vocation and for the many blessings he gave me and to be assigned in your parish is another great blessing! I am also grateful to Archbishop Sartain for his trust and support and for giving me this new assignment. I love and enjoy my ministry here in our Archdiocese." Aside from ministry he loves the outdoors and enjoys playing tennis, hiking, biking, kayaking, and golfing. Likewise, he enjoys drinking coffee and interacting with others. Catherine lived in Tonawanda, NY for the first 27 years of her life, before heading west. She met her husband, Scott, after moving to Washington. He jokes that he had to leave Minnesota and move to Seattle to meet the girl from New York. Scott and Catherine have four wonderful children, Thomas who married Sophia in 2016, Sara who is with Glody, Maria and Joseph. They welcomed their first grandchild, Henry, in March of 2017. Catherine enjoys doing sudoko puzzles and watching Henry!! She will forever be a Buffalo Bills fan and the Seattle Mariners are her favorite baseball team. Jocelyn has been blessed to be with the Holy Family parish community and to work with Youth Ministry since 2005 from Los Angeles, where she moved from, and this church community has been her "family" and support system for the past 12 years. Currently, she is also working with adults who wish to join the Catholic Church and helps them to receive their initial sacraments through RCIA. Working with these youths in our program and with adults in RCIA has given Jocelyn the opportunity to be an apostle of Jesus and to be a witness to many conversion stories in these people's lives. And throughout these years, she has seen it countless of times. She finds so much joy in teaching and talking about God, and although the work could be tough or difficult, it is also rewarding and fulfilling to serve God in this parish. On the personal side, her hobbies include singing, taking good pictures of people and nature here in beautiful Washington and watching movies with a good message. And she enjoys having conversations and listening to people. Lindsay was born and raised in Auburn, WA as a lifelong parishioner of Holy Family. She attended Holy Family Catholic School from first through eighth grades before going on to graduate from Auburn Senior High School, Washington State University with a Bachelor of Science in Psychology and finally earning a Masters in Teaching degree from City University of Seattle. During college Lindsay worked at a summer camp where she met her husband Matthew, who moved to Washington. After graduation she taught for five years for Holy Family School as the fourth grade teacher before deciding to stay home and raise her two daughters, Havana and Jolene. 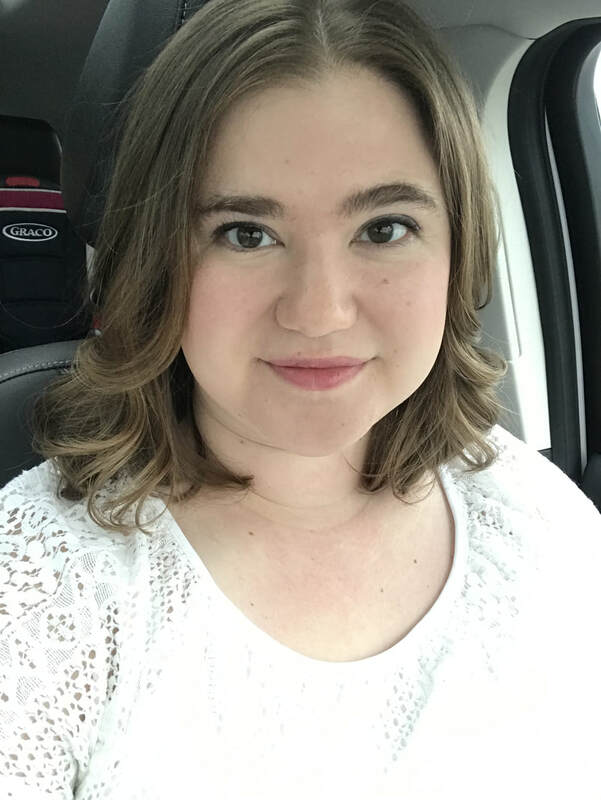 After one year of staying home, Lindsay was ready to return to Holy Family, this time in a new capacity as the Children's Ministry Coordinator. She has enjoyed working with all the families who have young children in the parish as well as the volunteers who make all the Children's Ministry programs possible. Holy Family has always been home to Lindsay and she loves sharing her faith and love of the parish with many others, as well as her own family. Anthony has been a life long member at Holy Family and has been active in our Youth Ministry program including Harmonic Youth as the guitar player. He comes to the Parish after working with Holy Family School as the Assistant in the Extended Care program. Susan has been a parishioner for over 30 years here at Holy Family. She was hired on as the bookkeeper 13 years ago. Susan is married to Dave and they have 4 children and a bunch of grandchildren.